The NHLPA and the Goals & Dreams Fund held the Goals & Dreams Cup today at the MTS Iceplex in Winnipeg, MB. Children from local Hockey Education Reaching Out Society programs participated in a fun hockey game to celebrate. WINNIPEG/TORONTO (December 8, 2011) – The National Hockey League Players’ Association (NHLPA) Goals & Dreams fund held the Goals & Dreams Cup today at the MTS Iceplex in Winnipeg, MB. Children from local Hockey Education Reaching Out Society (H.E.R.O.S.) programs participated in a fun hockey game to celebrate the recent NHLPA Goals & Dreams donation of 50 complete sets of brand new hockey equipment to the North End and St. John’s High School H.E.R.O.S. programs. The children were coached in the hockey game by some of their favourite NHL players on the Winnipeg Jets: Eric Fehr, Tanner Glass, Ron Hainsey, Andrew Ladd, and Jim Slater. NHLPA Goals & Dreams has partnered with H.E.R.O.S. programs all across Canada. With this recent donation, NHLPA Goals & Dreams has now donated more than 300 sets of hockey equipment worth close to $200,000, in total, to H.E.R.O.S programs nationally. H.E.R.O.S. uses the game of hockey to attract at-risk youth to a program that offers support for education and serves as a catalyst for self-esteem building and life skills training. Specifically, it focuses on boys and girls of diverse ethnicity and economically challenged neighborhoods. In 1999, the NHLPA launched the NHLPA Goals & Dreams fund as a way for the players to give something back to the game they love. Over the past 12 years, more than 60,000 deserving children in 25 countries have benefited from the NHLPA Goals & Dreams donations of full sets of hockey equipment. 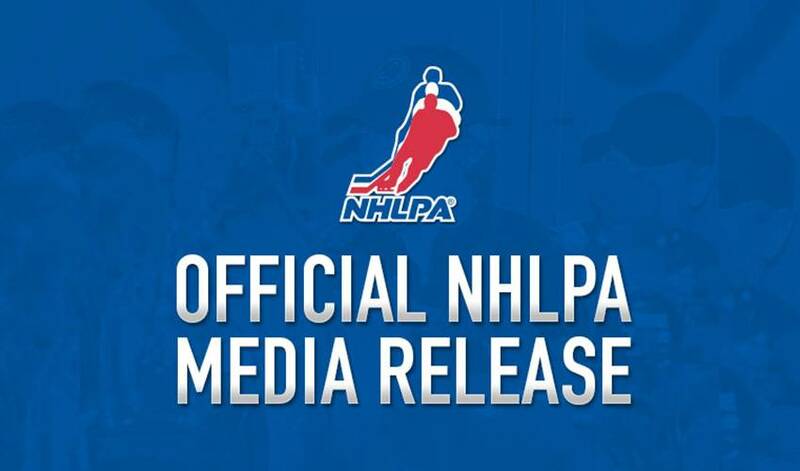 To date, NHLPA Goals & Dreams has donated more than $20-million to grassroots hockey programs around the world, making it the largest program of its kind. The Goals & Dreams Cup hockey events are held for selected programs that have received NHLPA Goals & Dreams donations in the past.